I’m cheating a little bit. I forgot to write my post yesterday, so I’m writing it today, and using the date stamp feature in WordPress to make it appear that I posted it yesterday. But I don’t want to lie to you so I’m telling you the truth now. Anyway, yesterday I went to the driving range, as I am attempting to get myself better at golf. One of the things I’m going to do is save up and buy myself a set of golf clubs that’s right for my body and swing. Buying a set of golf clubs is quite different to buying anything else. Say I was to buy myself a computer (something else I’m passionate about), I could compare the specs, and figure out what is going to be the best computer for my needs based on value for money. 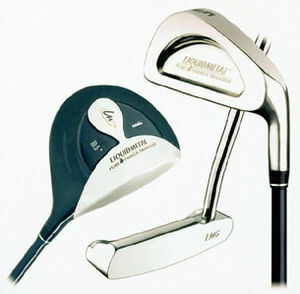 However, with a set of golf clubs, you can’t just choose what set you want, and compare prices across the board. In the process of getting custom fitted, not only will they figure out what length the shafts need to be, but they will also discover what shape head for the irons you need, what driver will work best for you. They then choose a set based on your budget that will be the best for you. Now, I’ve got to choose a store to buy my clubs from, as we’ll be telling people to buy me gift vouchers from there to give me some extra money for my clubs, or if it costs less – then that money that I’ve saved can either stay in savings, or go towards some golf lessons. But how do I choose which store to buy from? There are three stores I’ve been considering – The Golf Box, Drummond Golf, and On Course (which are the pro shops on some courses). I went to Drummond yesterday and asked flat-out why I should buy from them. Drummond Golf seemed to have a really large range, which means that it’s more likely to find the best set of clubs for me. They also have the Drummond Club, which would give me a 5% discount – however it costs $35 to join. So unless I spend $701, I haven’t actually saved anything. The Golf Box and On Course don’t have as large a range as Drummond, however, they don’t charge you to join their rewards club which also provides discounts (though doesn’t say how much the discounts are). Club fitting at The Golf Box and Drummond Golf are essentially the same, they’ve got a practice net in the shop, you swing, they analyse your swing and choose the clubs that are best for you. Fitting at ON Course is slightly different. Some stores have the same technology as Golf Box, others use a more traditional method of club fitting. But the big difference is that they take you out on the driving range so that they can not only assess how you swing, but what happens to the ball in flight. This will help ensure I get a set of clubs that will be great for my game. Finally, my dad pointed out something that On Course provide that the other stores won’t – a relationship. We’ve already got a relationship with the guys at Marangaroo due to playing there regularly. They know the course that I will be playing on. Also, if I’m going to get lessons – they’re the same guys, the same team that fitted me for my clubs can be the same guys that teach me. So I think I’ve made my decision. If you want to buy me a present for my birthday in April, a Gift Voucher from On Course Golf would be fantastic. Next Next post: Do I look as old as I feel?